Alison Line, Mennonite College of Nursing student, playing for ISU volleyball. Senior year is always bittersweet. 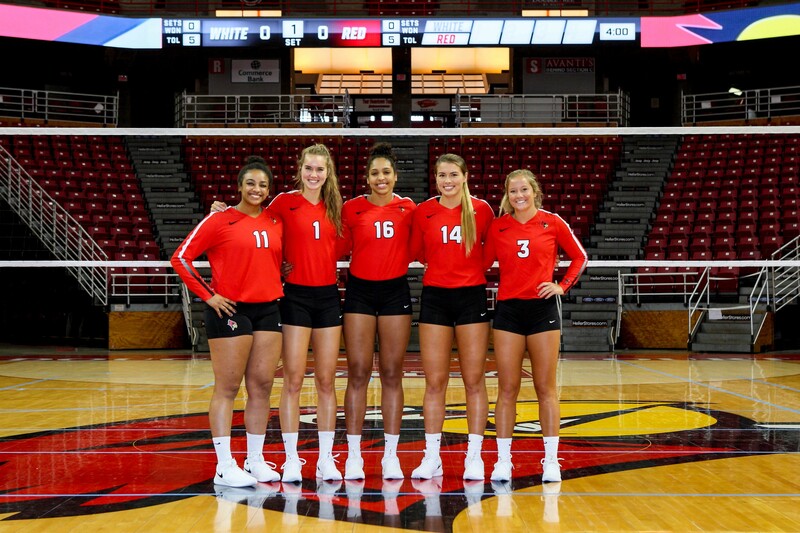 It is especially so for Alison Line, Mennonite College of Nursing (MCN) student, volleyball player, and Illinois State University Bone Scholar. Ali grew up hearing stories about life as a nurse and eventually found herself following her mother’s example. Originally from the Indianapolis area, Ali is the oldest of four. Her mom was a pediatric nurse at Riley Hospital in Indianapolis. Ali grew up hearing stories about life as a nurse and eventually found herself following her mother’s example. Mennonite College of Nursing’s prestigious undergraduate nursing program is known to be demanding. As a student-athlete, Ali’s experience was even more so than normal. 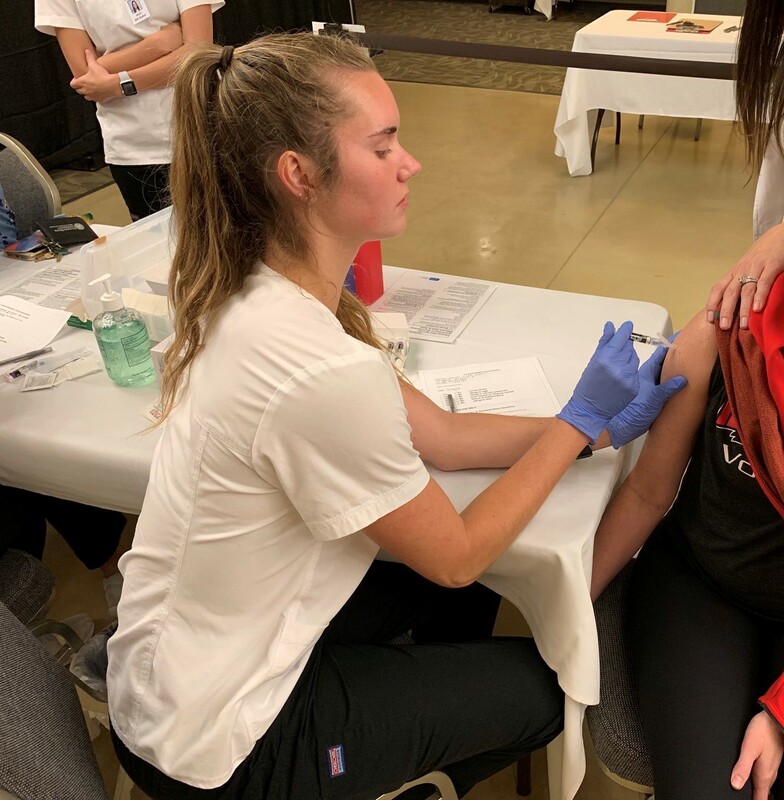 Line working the Fall ’18 Flu Clinic on campus. Many students would struggle under that kind of pressure, but Ali does not believe in doing things halfway. Even with support for both sides, the balancing act is not easy. “Becky LaMont, MCN’s success plan coordinator, and I connected in health assessment lab. I remember her saying, ‘I understand you’re super overwhelmed right now. We’re going to deal with it – we’re going to work with it and just figure it out. We’re going to make it work.’ She was so encouraging and ended up coming to a match to show her support. It was super fun to see her up in the stands,” Line said. And beyond everything else, that is what makes Illinois State University and Mennonite College of Nursing special – that sense of family and support. And so far, Ali has not just made it work – she is excelling. Recently named an Illinois State University Bone Scholar, the designation is the highest honor an Illinois State University undergraduate student can receive and is bestowed upon students who demonstrate excellent academic achievement, leadership, campus and community engagement, and outstanding character. Ali Line is humble about her achievements. When asked her advice for other student-athletes, her answer is simple. This story was originally printed as part of the 2017-2018 issue of The Flame Magazine.